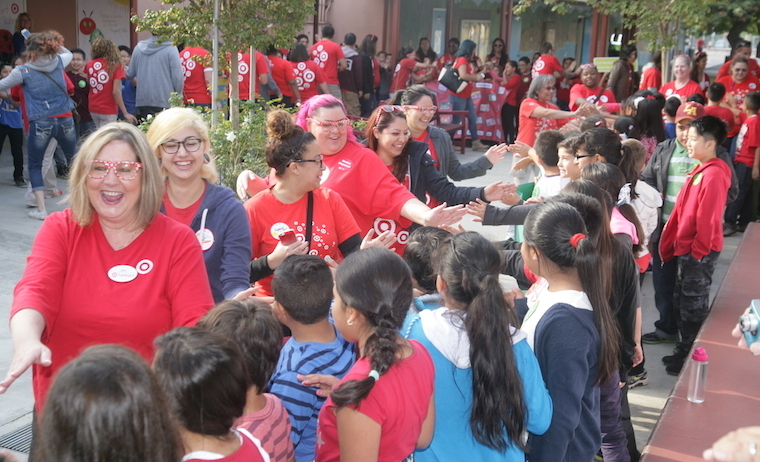 The number of books (1.5 million), team member volunteer hours (130,000), and students impacted (105,000) only tells part of the story of the 200 Target School Library Makeovers completed with The Heart of America since 2007. Beyond the numbers, what stands out the most are the personal stories and the positive impact on communities rallying together to create change, support one another and transform outdated spaces into state-of-the-art learning centers with complete technology updates. We like the story of Lillian Raimundi Ortiz, principal at PS 155 in East Harlem. She was so touched by her school’s library makeover experience on Sept. 16, 2008, she drove more than 100 miles to Philadelphia to pay it forward and volunteer alongside Target at the Gompers Elementary School Library Makeover one week later. And the story of the Doris Miller Elementary School Library Makeover event on Oct. 1, 2010. In addition to providing the school with thousands of books and a technology upgrade, five students had the opportunity to chat via Skype with their military moms or dads who were stationed aboard the USS Peleliu, which brought so much joy to those families and the school that day. The Taft Elementary School Library Makeover on Oct. 2, 2014 was special for hundreds of kids but also to the Costa Mesa, Cali. Target store team leader, Timothy Kindig. Tim was able to volunteer at his kids’ school alongside many of his team members, to bring a rejuvenated learning space to life. 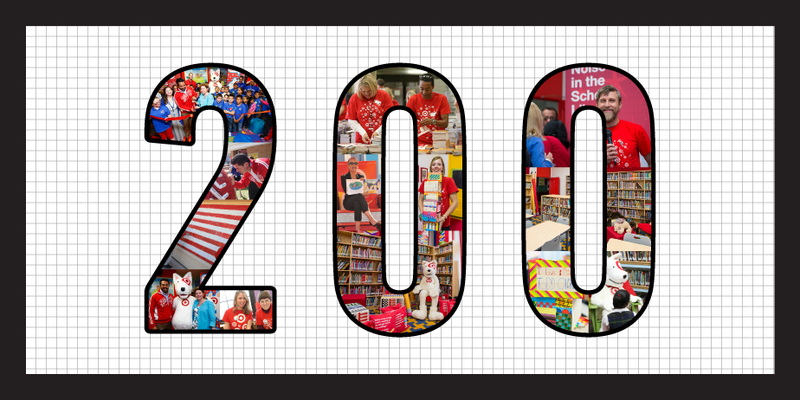 By shopping at Target, you’ve helped Target and The Heart of America complete the 200 School Library Makeovers. Since 1946, Target has given 5 percent of its profit – which today equals more than $4 million per week – to communities. As we look back and reflect on the 200th library milestone, check out this time-lapse video to see a School Library Makeover from beginning to end.